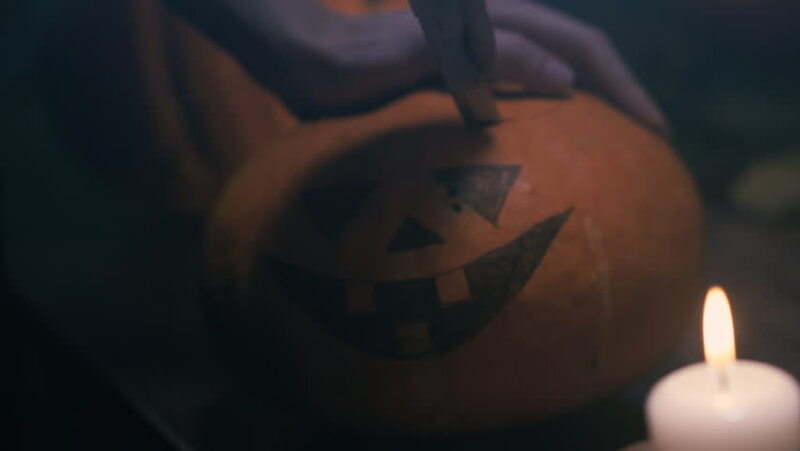 hd00:11a woman hands cuts out a jack lantern smile with knife on Halloween pumpkin with a wooden spoon. on a wooden table with kandle. halloween concetp. hd00:12Full moon rises through trees with insect silhouette time lapse (close). The full moon rises through trees and branches with a serendipitous insect silhouette. Close up.